Poland, 19th century. 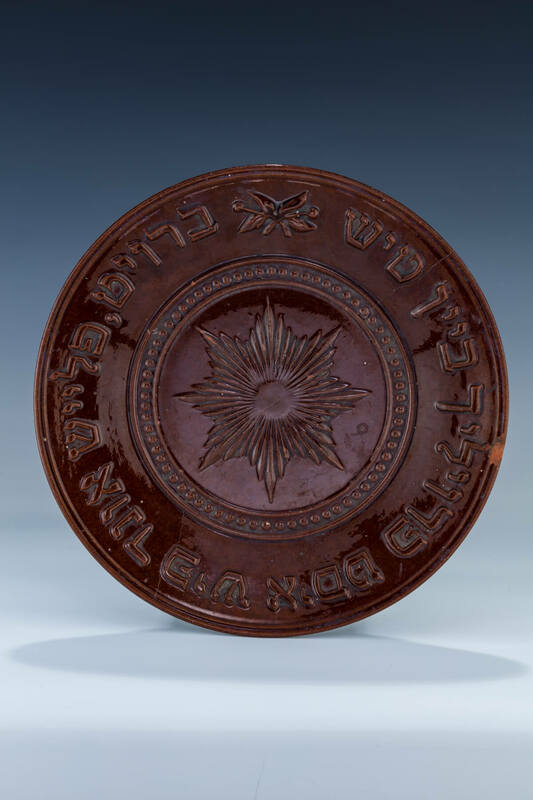 Embossed in outer rim in Yiddish: “BREAD MEAT AND FISH IS A HAPPY TABLE”. Chips, cracks and repairs. 10” wide.